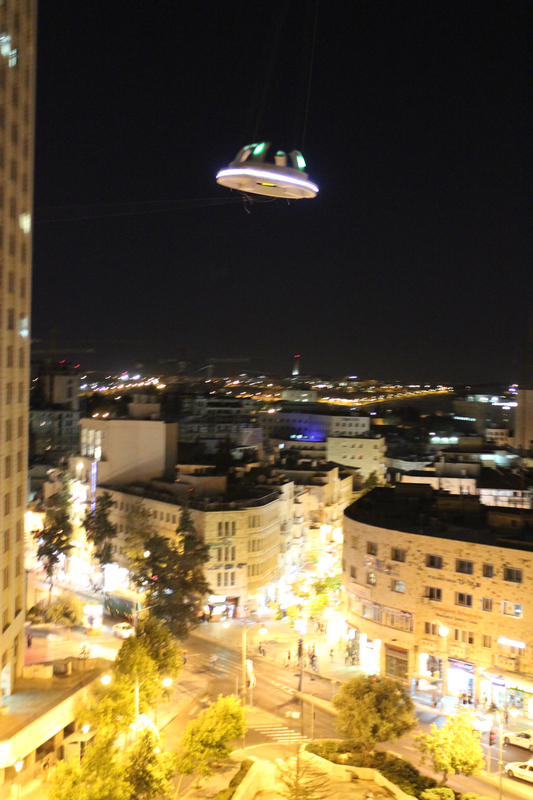 Spaceship hovers over Jerusalem. Passersby observe the flying object. A crowd gathers. some of them filming it on their smartphones.